Double rows of matte finish gold are flanked and separated by smaller channels of smoothly polished gold on this 14K white gold antique style men’s wedding band. 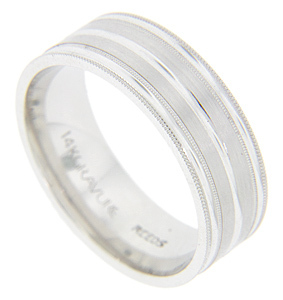 The wedding ring measures 8mm in width. Size: 11 1/2. Cannot be resized.